Las Cruces, N.M.: The New Mexico State soccer team is hosting an ID Camp on Sunday, Mar. 16 from 10 a.m. to 4 p.m. at the Aggie Soccer Field. Las Cruces, N.M. -- The New Mexico State soccer team is hosting an ID Camp on Sunday, Mar. 16 from 10 a.m. to 4 p.m. at the Aggie Soccer Field. The camp is open to high school females currently in grades 9-12 and includes technical training, a question and answer session along with small-sided and full-sided games. Cost of the camp is $50.00 and participants are required to provide their own lunch. Check-in and payment for the camp begins at 9:30 a.m. and breaks off into technical/tactical training at 10 a.m. During the camp, goalkeeper training is also be available. Space is limited to the first 50 participants. Registration must be completed by Mar. 12 with parental consent and medical release forms in as well. Delgado will begin his first season as head coach for the NM State soccer team after serving as an assistant coach for the NM State soccer team. 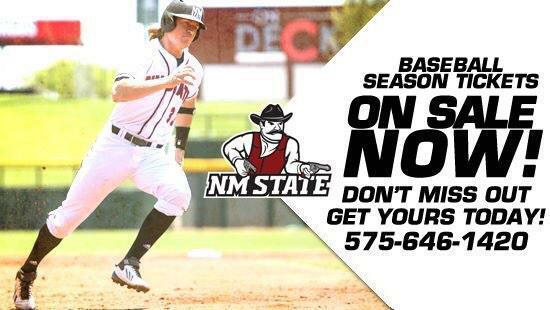 For questions, contact Delgado at delgadof@nmsu.edu or 501-804-7680.